In April 2012, we welcomed 38 speakers from six different countries and twenty different institutions in addition to our three keynote speakers prof. Geert Buelens, prof. Wim VandenBussche and prof. Herman Pleij. What was particularly encouraging, apart from our keen undergraduate students, was the high number of postgraduate delegates taking part: seventeen from four different countries (UK, Ireland, Belgium and the Netherlands). 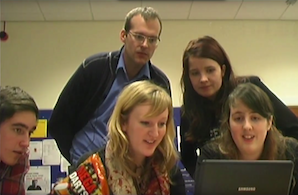 Since it is the explicit aim of the ALCS to nurture young researchers from within and outside of the UK and Ireland, it was encouraging to see them meet and build personal and professional relationships. With London as our meeting place of 2014, I think we have every reason to be optimistic about the future of our society. May our rekindled energy keep flowing. Cities have played a crucial role in the history of the Low Countries as places of encounter, exchange, protest and revolution. Cities are celebrated as liberal, free-spirited, worldly hybrids, but equally dismissed as locations of tension, depravity and lawlessness. Cities are places of linguistic and artistic innovation: representations of cities—and their related concerns—constitute some the most potent and thought- provoking images produced in the modern era. 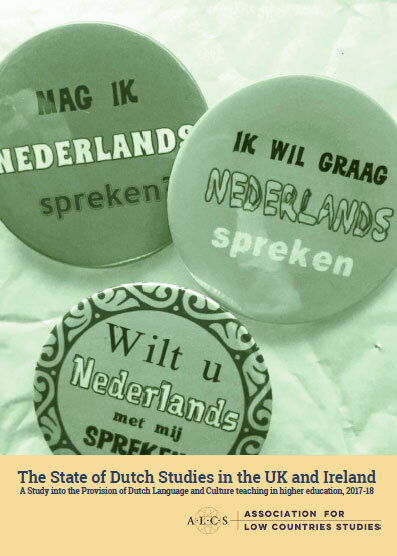 For the 9th Association for Low Countries Studies’ Biennial Conference, we want to celebrate, criticise and scrutinise the cities of the Low Countries and beyond. Over forty speakers from six countries will discuss and debate the urban in all its various contexts; from contemporary fashion and Flemish rap to theatre and the city in the 16th century. The versatility of the city is reflected in the variety and breadth of the conference programme. 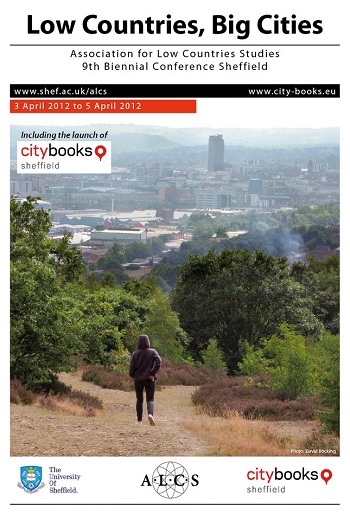 The conference will also celebrate the official launch of citybooksSheffield. Citybooks is an EU-sponsored project in which the University of Sheffield works closely with the Flemish-Dutch House deBuren in Brussels. Authors Abdelkader Benali, Ágnes Lehóczky, Rebecca Lenaerts, Helen Mort and Joost Zwagerman, together with photographer David Bocking and film maker Dominic Green have created a unique multimedia and multilingual portrait of the city of Sheffield. For our launch party the poets Helen Mort and Ágnes Lehóczky will read from their citybooks together with four of Sheffield’s Dutch students: Charles Macdonald-Jones, Louise Snape, Christina Barningham and Victoria Beardwood. David Bocking’s images of Sheffield will be exhibited and Dominic Green will talk about his city-one-minute project. All citybooks can be accessed at city-books.eu. The conference was made possible with financial Assistance of the Nederlandse Taalunie, the Royal Netherlands Embassy and the Flemish Representation in the UK.